During morning reflection sessions, participants share and discuss their biggest take-aways from the previous day’s sessions: What insights have they gained? What ideas do they find particularly interesting and how do these apply to their work or their struggle? Also, which of the 15 guiding questions that were introduced yesterday were they able to answer and explore? How can we have a leaderless movements or a movement without a clear, gifted leader? How can you be nonviolent in a system that is extremely violent? Sometimes you are forced to be violent. What is the difference between civil resistance and official opposition found in the action of political parties? How can you organize and mobilize groups in a highly repressive system? How do movements manage, deal with fear? 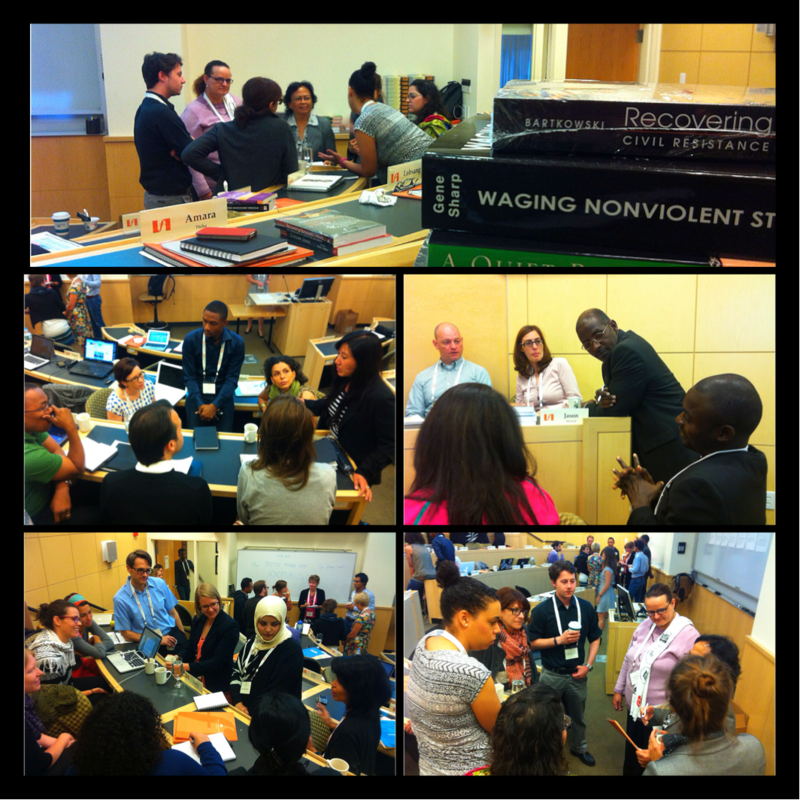 The importance of skills in waging nonviolent struggle. The difference between strategy and tactics and innovating different tactics. The three most important determinants of nonviolent discipline – unity, planning, and nonviolent discipline. Strategic power and value of taking the fight local and then moving it to the national level. Skills are more important that conditions, but conditions are key. This was a comment Khusta Jack made in the previous night’s evening program.